She began her education at the age of 13 with Frank Buels in Ottawa and as a young girl sang in 1901 in Ottawa as contralto at St. Patrick's Church in church concerts. In 1901 she was sent to Europe for further studies. There she was a student of Dubulle and Bouhy in Paris, William Shakespeare in London and Anna Schoen-Rene in Berlin. In 1905 she had a great success as concert singer in Paris. In 1906 she accompanied the famous prima donna Emma Albani as assistant artist on her farewell tour through Canada. After additional education under legendary tenor Giuseppe Oxilia in Milan, she made her debut at the Teatro Regio in Parma, now as soprano, singing the part of Micaela in ‘’Carmen’’ (1910). The same year she also appeared at the London Covent Garden. In 1911 she married a Dutchman, with whom she moved to Batavia, Java. In 1916 she separated from him and came to North America. Here she gave very successful concerts. She was a friend of such a composers like Schoenberg, Satie, Ravel, Stravinsky, Honegger and Poulenc and was regarded as an important interpreter of songs of modern composers. 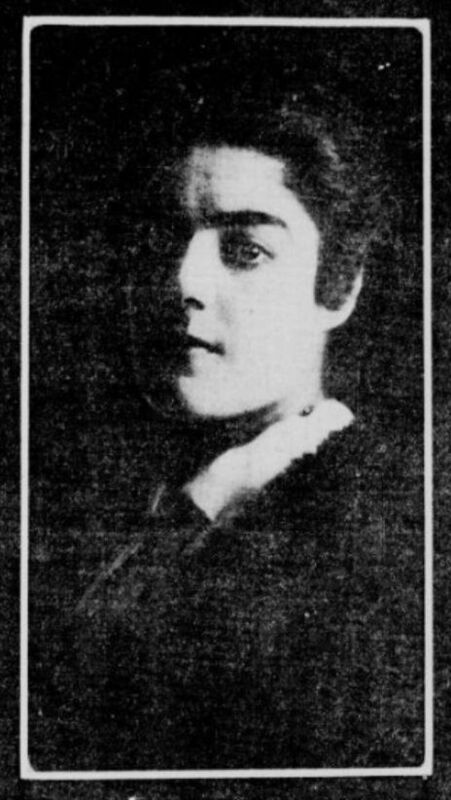 In 1917 she appeared in Stravinsky's ‘’Poème Japonais’’ at Aeolian Hall in New York. In 1923 she first time sang George Gershwin’s works during a song recital in New York and was accompanied by the composer at the piano. She also appeared in Europe in the 1920’s. In 1925 she performed in Venice. In 1926 and 1928 she made guest appearances in Berlin. Her career lasted until the years of World War II. Her sister Juliette Gauthier (1888-1972) was a mezzo soprano and like her a successful concert singer.